The Alexa Translated Skill - What do you want to translate today? 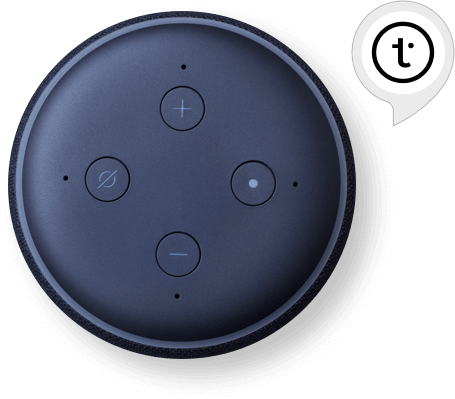 Translated Skill for Amazon Alexa smart home devices can currently translate short sentences from English to 37 languages. Skill was installed by 1.3 million users from June 2017 to September 2018 and is one of most used Alexa apps worldwide. It has been featured by The New York Times as one of the most fun and useful skills available for Alexa devices. Everyday around 5,000 unique users ask skill for translations. We decided to create skill because we wanted to give users access to professional translation technology in a simple way. Alexa can’t natively translate. So we decided to give users this feature and see how they react, whether they like it or not. After each release, we focus on users' reviews in Amazon stores and conduct internal tests with potential users. In doing so, we add new features and refine core ones in order to satisfy the widest group of users and try to give them the best voice-user interface experience. Our Translated Alexa skill is based on a three-layer stack. Amazon’s own engine captures audio and performs natural language processing based on an intent/entity model defined by us. The user’s intent (e.g. “I want to translate”) and the entities (“hello from english to spanish”) are sent to the Translated skill server. The server will translate the requested sentence from the source to the target language using MyMemory and create the translated text audio using third-party text-to-speech services. The result: the requested translation is spoken in an accent native to that language just a second after the command has been received by Alexa. Follow these links to the US store and the UK store to install Translated Alexa skill.